We had a wonderful experience working with Danny. He is patient, he is knowledgeable, and he is understanding to the needs of the client. I would recommend him to any first time buyer, or a seasoned home owner. You will not find a more thorough, knowledgeable, even keeled, fair and personable realtor to service your needs buying or selling than Danny Gaspard. We had been burned by the "Listers", big name realtors you see on signs who are about listing your home, but immediately pawn you off to inexperienced and often unlicensed assistants to market and show your property. Twice we had to market our own home to the buyers agent - then pay a commission to the "listing agent". Twelve years ago Danny Gaspard was representing the buyer for our house that we had listed with another realtor. After observing the very high level of professionalism and thoroughness, we decided that we wanted Danny on our side in the future. Since then Danny has been our agent in six different real estate listings and purchases worth about $3.7 million. Danny's marketing plan has always been based on the latest market stats and trends as they relate to our property, not the generic market. He carefully qualifies potential buyers requirements (and finances) to verify our property is a match BEFORE scheduling a showing. We confess it was initially disconcerting to "not show" the house to a prospective buyer, but it minimized the disruptions in our daily lives from a constant flow of just lookers. Danny reassured us that all it takes is helping a single qualified buyer to put themselves into the vision that makes your home their own. We have seen it time after time when everyone leaves the closing happy -- even those of us who wrote the commission check! Danny is an efficient and effective agent with a wealth of knowledge in the field. From both a selling and buying perspective, Danny makes the process easy and painless as his expertise shines. 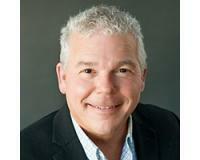 I would and continue to recommend Danny for everyone looking to buy or sell a home or property. Danny is the by far the best in the Real Estate Business !! He is so very knowledgeable, patient with the process, and cares about finding the perfect fit for his client's needs. His professionalism, honesty, and great sense of humor made our home buying experience beyond enjoyable !! I would recommend him 100%. "Danny is the by far the best in the Real Estate Business !! He is so very knowledgeable, patient with the process, and cares about finding the perfect fit for his client's needs. His professionalism, ... more "
"We couldn't have asked for a better fit with helping us find our new home. Danny went above and beyond measures to ensure that we got the home that we sought out to have. He is highly knowledgeable in ... more "
"We had a wonderful experience working with Danny. He is patient, he is knowledgeable, and he is understanding to the needs of the client. I would recommend him to any first time buyer, or a seasoned ... more "